History teachers in New Zealand typically view the past through the lens of a western conceptual-framework and integrating indigenous Māori perspectives into school history programmes poses a major challenge. The recently launched Māori History website however has the potential to see Māori views successfully accommodated in history programmes. It also provides an example of how a bold curriculum initiative that is characterised by culturally respectful conversations between innovative teachers, researchers, historians, activists and leading Māori experts (at both national and tribal level) has the potential to place indigenous ways of understanding of the past at the centre of history programmes. Since the late 1980s, New Zealand has operated as a bicultural society that has been increasingly committed to the process of reconciling the relationship between Māori and non-indigenous New Zealanders. On a range of levels, organisations such as the Waitangi Tribunal have worked to address historical grievances from the colonial era. There is a growing acceptance that Māori language and cultural values are a central feature of 21st century New Zealand society and that government initiatives should reflect this. For example in May 2017, one of New Zealand’s longest rivers (the Whanganui) was given the legal status of a person. This was in recognition of the local Māori tribe’s view of the river as being a spiritual ancestor and their commitment to operate as guardians of the Whanganui (as they have done for centuries) and to promote and protect its health and wellbeing. While the decision reflects indigenous concepts of connection to land, water and place, it does not reflect how the New Zealand legal framework has operated for over 150 years. Rather it indicates a shift in orientation in how Māori and non-indigenous New Zealanders are increasingly renegotiating the relationship with each other and working towards genuine, respectful reconciliation. This willingness to listen and consider indigenous perspectives of the past is evident in how local educators, historians and Māori experts have integrated local tribal views into teaching and learning history. It provides an exemplar as to how a predominantly non-indigenous history teaching community can incorporate an indigenous perspective into their teaching programmes. This is evident in the conversations over the last 5 years between local teachers, tribal experts and historians from the Whanganui who have worked to incorporate a Māori perspective of the past into teaching programmes. While the practical dimension of what Māori history actually means for teachers in the classroom is not readily apparent from the website (reflecting the diversity of Māori views of the past), what is clear in the conversations around what the past might mean to indigenous peoples, is the strong connection to place. A sense that what has happened on this part of the world (and will happen in the future) matters to those who are here and have been here in the past. That there are different priorities in the historical knowledge young people should learn and that local, tribal and family histories matter. That this is essential knowledge for young people in making sense of their world. A perspective is reflected in the Māori proverb Ka mura, Ka muri. The notion that we are walking through life backwards. That we look to the past to inform the future and that the past and the present are a single entity. While all major political parties acknowledge the Treaty and as the example above indicates, Māori language and culture values are, increasingly becoming an integral feature of society, there appears to be an emerging intolerance of such initiatives that is especially apparent among a vocal, well-connected and uncompromising minority. Their views are characterised by an unsympathetic perspective of the Māori experience of colonisation, a reluctance to address historical grievances and an intolerance of Māori language and cultural values being accommodated in the wider New Zealand community. For example in a recent article in a major newspaper, the Otago Daily Times, commentator Dave Witherow described Māori Language Week (a weeklong celebration of Te reo – the Māori language) as a ‘seven-day fiesta of cringing servility. Prominent building magnate Sir William Gallagher condemned the idea that the Treaty of Waitangi was a partnership between Māori and the Crown and criticised the financial settlements for Crown breaches of the Treaty that has seen payments to particular Māori tribes. Don Brash, spokesperson for Hobsons Pledge (who is incensed by the use of Māori language on the mainstream television and radio), believes that Māori under Treaty of Waitangi gave up all of their legal powers and that the Treaty was not a partnership between Pākehā and Māori. The extent of support for the views of Brash, Gallagher and Witherow is not clear. They have been dismissed as indicative of a generational attitude among older Pākehā (non-indigenous) men who cannot understand the way that New Zealand is changing and they certainly reflect a nostalgia for old certainties among Pākehā New Zealanders after 40 years of bewildering change. However if Talkback radio and letters to the editor are any indication their views cannot be dismissed so easily. For history educators the ‘wilful ignorance’ demonstrated that is characterised by a dismissal of the historical research literature as indoctrination that ‘fosters politically correct ideas’ about the ‘Treaty of Waitangi’ poses a challenge in how teachers these address these questions in their programmes. In this context, the Māori history website may have a role in building a connection to place for young people and contributing to reconciling the relationship between Māori and non-indigenous New Zealanders that goes beyond simply knowing historical details about New Zealand’s past but also sees young people emotionally connect this knowledge with indigenous perspectives of place. The strength of the Māori history website is that the knowledge that has been created has come out of ongoing conversations between classroom teachers, researchers, historians and Māori experts over what indigenous history might look like. It has required humility and respect on all sides and while constructing an uncontested definition of what Māori history means for young people in the 21st century is a work-in-progress (and it is still early days), this initiative has much to say to us about developing an understanding of indigenous perspectives on the past. Zembylas, Michalinos. “Wilful Ignorance and the Emotional Regime of Schools.” British Journal of Educational Studies 65, no. 4 (2017): 499-515. http://dx.doi.org/10.1080/00071005.2017.1290785 (last accessed 10 January 2018). O’Malley, Vincent, and Joanna Kidman. “Settler colonial history, commemoration and white backlash: remembering the New Zealand Wars.” Settler Colonial Studies (2017): 1-16. http://dx.doi.org/10.1080/2201473X.2017.1279831 (last accessed 10 January 2018). Sheehan, Mark. “A matter of choice: Controversial histories, citizenship, and the challenge of a high-autonomy curriculum.” Curriculum Matters 13 (2017): 80-102. https://doi.org/10.18296/cm.0023 (last accessed 10 January 2018). Ministry of Education, The Māori history project (2017) http://maorihistory.tki.org.nz/en/why-teach-maori-history/ (last accessed 10 January 2018). Ministry of Education, The Māori history project (2017): http://maorihistory.tki.org.nz/en/why-teach-maori-history/ (last accessed 10 January 2018). https://www.theguardian.com/…/new-zealand-river-granted-same-legal-rights-as-human (last accessed 10 January 2018). http://maorihistory.tki.org.nz/en/programme-design/working-with-iwi/ (last accessed 10 January 2018). https://www.odt.co.nz/opinion/haere-mai-everything-far-ka-pai (last accessed 10 January 2018). https://www.stuff.co.nz/business/99247542/sir-william-gallagher-claims-treaty-of-waitangi-coverup (last accessed 10 January 2018). https://thespinoff.co.nz/media/02-12-2017/a-play-by-play-of-kim-hills-medium-rare-roasting-of-don-brash/ (last accessed 10 January 2018). https://www.radionz.co.nz/national/programmes/saturday/audio/2018623927/don-brash-ragging-on-te-reo (last accessed 10 January 2018). Vincent O’Malley, Joanna Kidman, “Settler colonial history, commemoration and white backlash: remembering the New Zealand Wars,” Settler Colonial Studies (2017): 1-16, http://dx.doi.org/10.1080/2201473X.2017.1279831 (last accessed 10 January 2018). Michalinos Zembylas, “Wilful Ignorance and the Emotional Regime of Schools,” British Journal of Educational Studies 65, no. 4 (2017): 499-515, http://dx.doi.org/10.1080/00071005.2017.1290785 (last accessed 10 January 2018). http://www.hobsonspledge.nz/ (last accessed 10 January 2018). Im September 2017 ist die Webseite Māori History des Neuseeländischen Bildungsministeriums online gegangen. 3 Jahre hatten die Arbeiten an ihr gedauert. Wenngleich sie auf Initiative des Ministeriums hin entstanden ist, wurde die Seite von einer Reihe innovativer Lehrpersonen, HistorikerInnen, Māori-ExpertInnen und StammesführerInnen geschaffen. Gemeinsam haben diese digitale Ressourcen erstellt, mit deren Hilfe Lehrpersonen die indigene Perspektive auf Neuseelands Vergangenheit in ihren Geschichtsunterricht integrieren sollen. Angesichts einer scheinbar wachsenden Ablehnung der maorischen Sprache und Kultur innerhalb der neuseeländischen Gesellschaft ist diese Initiative gerade zur richtigen Zeit ergriffen worden. Neuseeländische Geschichtslehrpersonen haben typischerweise eine westlich geprägte Sicht auf die Vergangenheit, so dass die Integration einer maorischen Perspektive in den Geschichtslehrplan eine große Herausforderung darstellt. Die unlängst freigeschaltete Webseite Māori History zeigt jedoch, wie das Verständnis der Māori erfolgreich im Geschichtsunterricht verankert werden kann. Zugleich ist die Webseite ein Beispiel dafür, wie eine mutige Lehrplaninitiative, die auf respektvollem Austausch zwischen Lehrpersonen, ForscherInnen, HistorikerInnen, AktivistInnen und führenden Māori-ExpertInnen (auf nationaler wie auf Stammesebene) beruht, indigene Vergangenheitskonzepte ins Zentrum des Geschichtsunterrichts rücken kann. 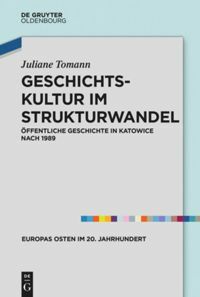 Seit den späten 1980er Jahren hat sich Neuseelands bikulturelle Gesellschaft verstärkt in der Versöhnung zwischen Māori und zugewanderten Neuseeländern engagiert. Auf verschiedenen Ebenen widmen sich Institutionen wie das Waitangi Tribunal der Aufarbeitung der historischen Lasten der Kolonialzeit. Die Sprache und die kulturellen Werte der Māori werden zunehmend als integrale Bestandteile der neuseeländischen Gesellschaft des 21. Jahrhunderts akzeptiert, ebenso wie die Bestrebungen der Regierung, dies in offiziellen Handlungen zu reflektieren. Beispielsweise wurde dem längsten Fluss Neuseelands, dem Whanganui, im Mai 2017 die Rechtsstellung eines Rechtssubjekts zugesprochen. Dies geschah in Anerkennung des Verständnisses des lokalen maorischen Stammes, der den Fluss als spirituellen Ahnen betrachtet und sich dazu verpflichtete, als Hüter des Whanganui zu fungieren (wie es seit Jahrhunderten der Fall ist), seine Gesundheit und sein Wohlbefinden zu schützen und zu fördern. Diese Entscheidung spiegelt die indigene Verbundenheit mit den Elementen Erde und Wasser und zum Ort, nicht aber die neuseeländische Rechtsprechung der vergangenen 150 Jahre wider. Sie deutet auf eine Akzentverschiebung hin, wie sie im Aushandlungsprozess zwischen Māori und den übrigen Neuseeländern hin zu einer ehrlichen und respektvollen Versöhnung stattgefunden hat. Die Bereitschaft, indigene Vergangenheitskonzepte zu berücksichtigen, zeigt sich auch darin, wie Lehrpersonen, HistorikerInnen und Māori-ExpertInnen die Auffassungen lokaler Stämme in Geschichtsunterricht und -forschung integriert haben. Es ist ein Musterbeispiel dafür, wie ein überwiegend nicht-indigenes Milieu indigene Sichtweisen in seine Lehrpläne aufnehmen kann. Besonders deutlich wird dies aus den Diskussionen der vergangenen 5 Jahre zwischen allen AkteurInnen des Whanganui, die an einer Einbindung der maorischen Sicht der Vergangenheit gearbeitet haben. 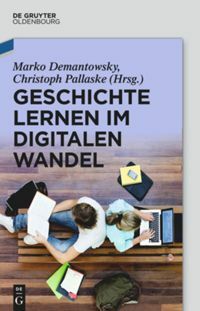 Bei einem Besuch der Webseite (die die Vielfalt maorischer Vergangenheitskonzepte zeigt) wird einem die praktische Dimension der maorischen Geschichte für unterrichtende Lehrer kaum bewusst. Dagegen verdeutlichen Unterhaltungen darüber, was die Vergangenheit für Māori bedeute, einen örtlichen Bezug. Es ist die Auffassung, dass was an einem Ort passiert ist (und noch passieren wird) von Bedeutung sei für diejenigen, die an diesem Ort leben und gelebt haben; dass es außerdem unterschiedliche Prioritäten innerhalb historischer Wissensbestände gibt, die jungen Menschen vermittelt werden sollten; dass die Lokal-, Stammes- und Familiengeschichte von Bedeutung sind; und dass dies schließlich unentbehrliches Wissen für junge Menschen darstellt, um ihre Welt verstehen zu können. Dies spiegelt sich im maorischen Sprichwort Ka mura, Ka muri. Wir schreiten rückwärts in die Zukunft. Den Blick in die Vergangenheit gerichtet, prägen wir die Zukunft, und Vergangenheit und Gegenwart bilden eine Einheit. Obwohl der Vertrag von Waitangi von allen großen politischen Parteien anerkannt wird und die maorische Sprache und Kultur, wie das obige Beispiel zeigt, zunehmend ein integraler Bestandteil der neuseeländischen Gesellschaft sind, scheint die Intoleranz gegenüber solchen Initiativen zu wachsen. Besonders deutlich tritt sie bei einer lautstarken, gut vernetzten und kompromisslosen Minderheit zu Tage. Diese ignoriert die maorische Kolonialerfahrung und lehnt eine Aufarbeitung der Vergangenheit ebenso wie die Verbreitung der maorischen Sprache und Kultur innerhalb der neuseeländischen Gesellschaft ab. Der Kommentator Dave Witherow beschrieb beispielsweise unlängst die “Woche der maorischen Sprache” (einwöchige Feierlichkeiten, die der Te reo, der Sprache der Māori, gewidmet sind) in einer der größeren Tageszeitungen, der Otago Daily Times, als “siebentägige Feier kriecherischer Unterwürfigkeit”. Der prominente Immobilienunternehmer Sir William Gallagher lehnt es ab, den Vertrag von Waitangi als partnerschaftliche Übereinkunft zwischen den Māori und der britischen Krone zu verstehen und kritisierte die finanzielle Übereinkunft, nach der einzelnen Māori-Stämmen Entschädigungen für Vertragsbrüche der Krone gezahlt wurden. Don Brash, Sprecher der Lobbygruppe Hobson’s Pledge (der empört ist über die Verwendung maorischer Sprache in Fernsehen und Radio), vertritt die Ansicht, die Māori hätten ihre Rechtsmacht mit dem Vertrag von Waitangi verloren, so dass er kein gleichberechtigtes Abkommen zwischen Pākehā und Māori darstelle. Es ist unklar, wie viele Unterstützer Brash, Gallagher und Witherow mit ihren Ansichten haben. Oft werden sie abgetan als charakteristisch für eine Generation älterer Pākehā (nicht-indigener) Männer, die den Wandel, den Neuseeland erlebt, nicht verstehen können und nach 40 Jahren verblüffender Veränderungen einem vergangenen Neuseeland hinterhertrauern. Wenn man jedoch HörerInnenanrufe und LeserInnenbriefe berücksichtigt, lassen sich ihre Aussagen nicht so leicht übergehen. Die “vorsätzliche Ignoranz” – eine Ablehnung der Forschungsliteratur als Indoktrinierung “politisch korrekter Ansichten” über den “Vertrag von Waitangi” – stellt eine Herausforderung für Geschichtslehrpersonen dar, wie mit diesen Fragen im Unterricht umzugehen ist. In diesem Zusammenhang könnte die Webseite jungen Menschen dabei helfen, eine Beziehung zum Ort aufzubauen. Sie könnte zu einer Versöhnung zwischen Māori und zugewanderten NeuseeländerInnen beitragen, die über die schlichte Kenntnis historischer Fakten der neuseeländischen Geschichte hinausgeht und stattdessen dieses Wissen emotional mit indigenen Raumvorstellungen verbinden lässt. Die Stärke der Webseite Māori History ist, dass ihre Inhalte aus dem kontinuierlichen Dialog zwischen Lehrpersonen, WissenschaftlerInnen, HistorikerInnen und Māori-ExpertInnen über eine mögliche indigene Geschichte heraus entstanden ist. Dies forderte Respekt und Bescheidenheit von allen Beteiligten. Obwohl eine allgemeingültige Definition dessen, was maorische Geschichte für Jugendliche im 21. Jahrhundert bedeuten könne, noch (lange) nicht formuliert ist, ermöglicht diese Initiative es uns, ein Verständnis indigener Vergangenheitskonzepte zu entwickeln. Zembylas, Michalinos. “Wilful Ignorance and the Emotional Regime of Schools.” British Journal of Educational Studies 65, no. 4 (2017): 499-515. http://dx.doi.org/10.1080/00071005.2017.1290785 (letzter Zugriff: 10.01.2018). O’Malley, Vincent, and Joanna Kidman. “Settler colonial history, commemoration and white backlash: remembering the New Zealand Wars.” Settler Colonial Studies (2017): 1-16. http://dx.doi.org/10.1080/2201473X.2017.1279831 (letzter Zugriff: 10.01.2018). Sheehan, Mark. “A matter of choice: Controversial histories, citizenship, and the challenge of a high-autonomy curriculum.” Curriculum Matters 13 (2017): 80-102. https://doi.org/10.18296/cm.0023 (letzter Zugriff: 10.01.2018). Ministry of Education, The Māori history project (2017): http://maorihistory.tki.org.nz/en/why-teach-maori-history/ (letzter Zugriff 10.01.2018). Ministry of Education, The Māori history project (2017): http://maorihistory.tki.org.nz/en/why-teach-maori-history/ (letzter Zugriff: 10.01.2018). V. O’Malley, J. Kidman, “Settler colonial history, commemoration and white backlash: remembering the New Zealand Wars,” Settler Colonial Studies (2017) http://dx.doi.org/10.1080/2201473X.2017.1279831 (letzter Zugriff: 10.01.2018). M. Zembylas, “Wilful Ignorance and the Emotional Regime of Schools,” British Journal of Educational Studies 65, no 4(2017): 1-17, http://dx.doi.org/10.1080/00071005.2017.1290785 (letzter Zugriff: 10.01.2018). 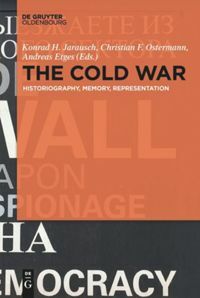 Shehaan, Mark: Maorische Geschichte und das Verständnis von Örtlichkeit In: Public History Weekly 6 (2018) 1, DOI: dx.doi.org/10.1515/phw-2018-10849.